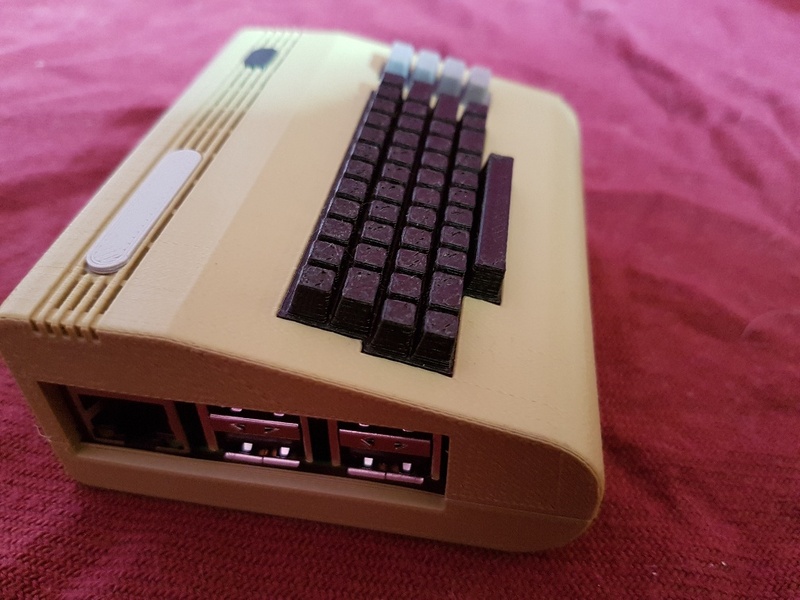 I used a Rasberry Pi 2 which is more than fast enough to handle Commodore 64 emulation, and put it inside an awesome 3d printed case purchased from an etsy seller. 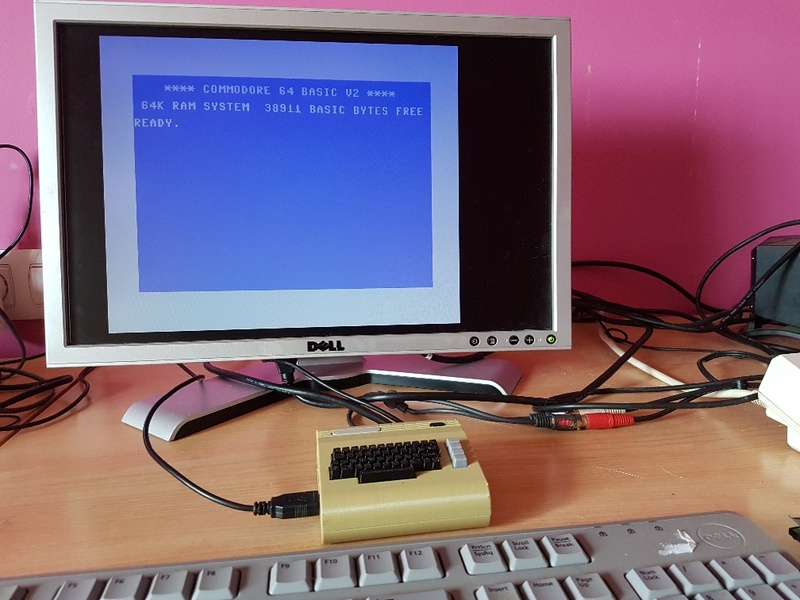 (Links below) Imaged Combian64 onto it and the pi swiftly boots straight into a Commodore 64. No linux boot screens, just pure commodore goodness! Pressing F8 brings up the emulation menu. 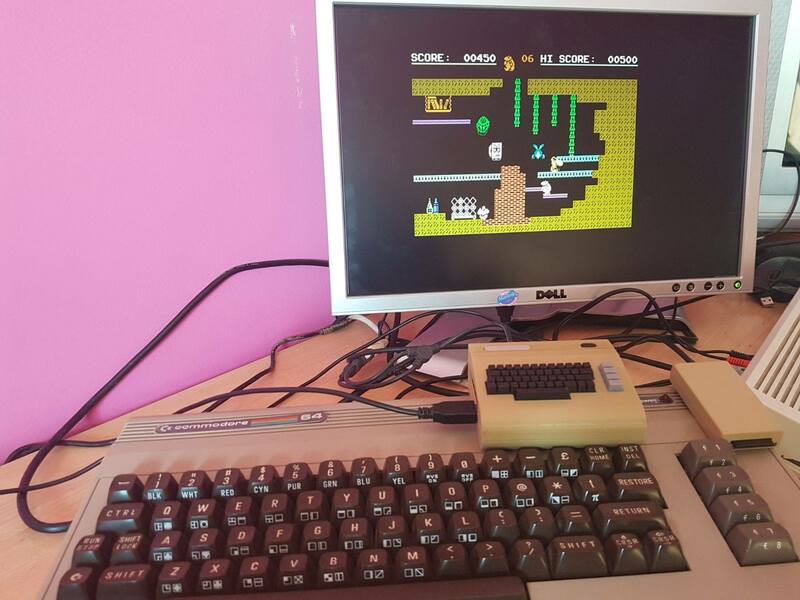 Which brilliantly is also in the same style as the C64 in order to configure settings and launch disk images. I find some emulators throw you back into the 21st century the minute you want to run something by having modern day windows popups. But ViCE doesnt. And viola, enjoy your retro games! Currently there is limited joystick support, however the author of the distro is looking into improving it all the time. So by the time you read this, you should hopefully be able to plug in a USB gamepad or joystick and away you go! For now you can map the numeric keypad as a joystick and play with that. I was always a keyboard gamer back in the day so i havent missed the joystick too much! Want a full sized raspberry pi commodore 64? Well that’s no problem either! 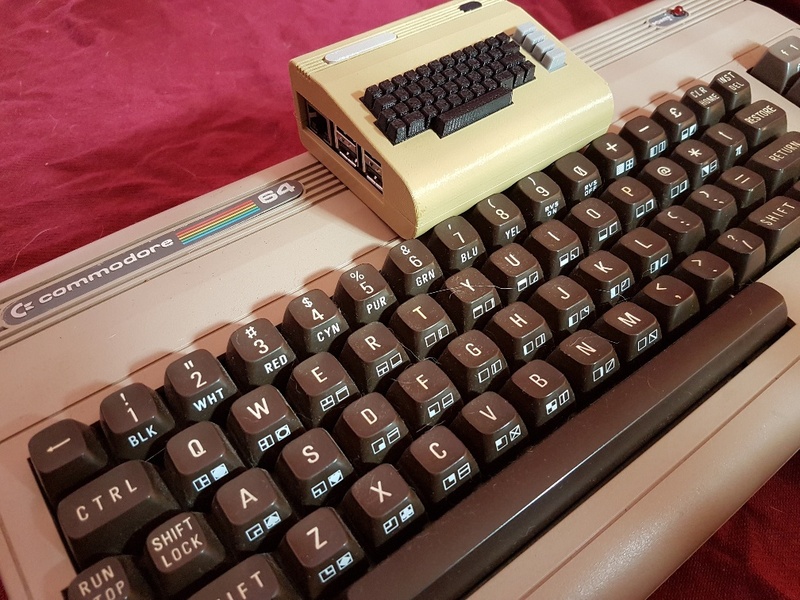 If you happen to have a broken C64 laying around then you can mount the raspberry pi inside the case instead of the old C46 motherboard, and use a Keyrah V2 to hook up the C64s actual keyboard to the pi and use that! 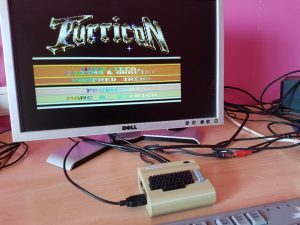 Wanna run the c64 on an old big box TV instead of a modern flat screen? no problem at all. Look for a HDMI to Composite video adapter and plug that in. Did I also forget to mention that if you happen to be a Commodore Vic 20, or a pet, 128 or plus 4 type of guy then you can configure the distro to boot directly into emulating one of those instead! USB pen drive to transfer some games over. Some C64 .d64 disk image files of games. First download the Combian64 image from the link above. At the time of writing, to gain access to the image you have to request it with a gmail account. This is still super new so hopefully the creator will have it hosted somewhere fully public very soon. Unzip and write the image file to your SD card using Win32DiskImager or similar. Put the Pi in the 3D Printed case and insert the SD card. Hook up the monitor keyboard and power. If your monitor doesn’t have built in speakers. Then connect some speakers too. You really don’t want to miss out on the goodness that is the C64s SID music! All being well. 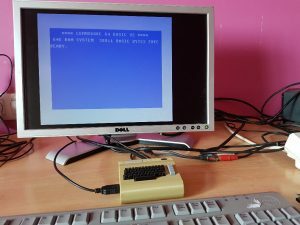 It should boot to a C64 screen. Press F8 and quit the emulator. Type in menu and press return. You will see some options. Go to the Raspberry Pi config, and then choose to expand the file system. This will make sure that all the available space on the SD card is available. Copy your game images onto a USB drive. You can download these from various sites or take a look at some torrents. Put the USB drive in the raspberry pi and restart it. Exit the emulator again. worked. You may want to try /dev/sda0 if it doesn’t find it. I believe the USB drive needs to be formatted as FAT32. Now type in mc and press return. And you will get a file manager which you can navigate around to copy the contents off the USB stick into /root/combian64/games . Once youve done that, press F10 to quit the file manager and type menu again and choose to start the emulator. Press F8 and under sound settings, change the buffer size to 1001 msec. This was required to resolve an issue with some audio lag. Your results may vary depending on your setup. Now got o machine settings and joyport settings and set port 1 and port 2 to Joystick. Now goto joystick settings and set joystick device 1 to keyset 1 and joystick device 2 numpad. You can set them to joystick here and see if it picks up your own USB joystick. But I had no joy. Future versions of the distro may have this fixed better. Then Settings Management and Save current settings. Ok you should be good to go. Choose Autostart image and choose a game. And viola. You should be living the C64 dream once again! If you’re having any problems, then I recommend you join the brilliant Retro Pi facebook group where there are plenty of people willing to help including the people that make the distros themselves. Its a great community. We use our raspberry pis to emulate just about everything we can! Next PostNext Why not everyone likes Dogs.